So I’ve officially started development on MMORPG Tycoon 2.0. I’m expecting this to be a lengthy development, and I’m expecting to occasionally make diversions into “Game in a Week” or other such offerings. But for the moment, I’m focusing hard on Tycoon development. 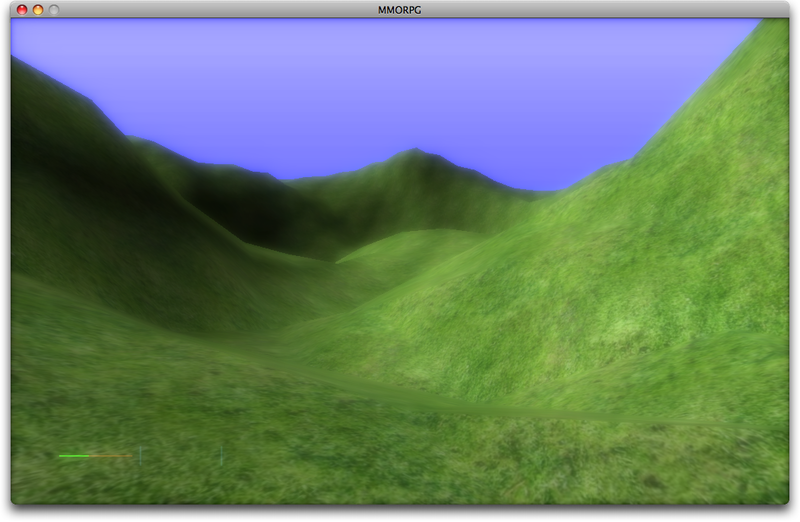 This is the first screenshot of very simple terrain generation and rendering. It’s using the “Lord” grass texture as a placeholder, but is doing proper lighting and rendering. Game design discussions are to come. But I’m happy enough about having a real screenshot to show off that I just had to post it now. 30 March, 2009 in Full Games, MMORPG Tycoon.